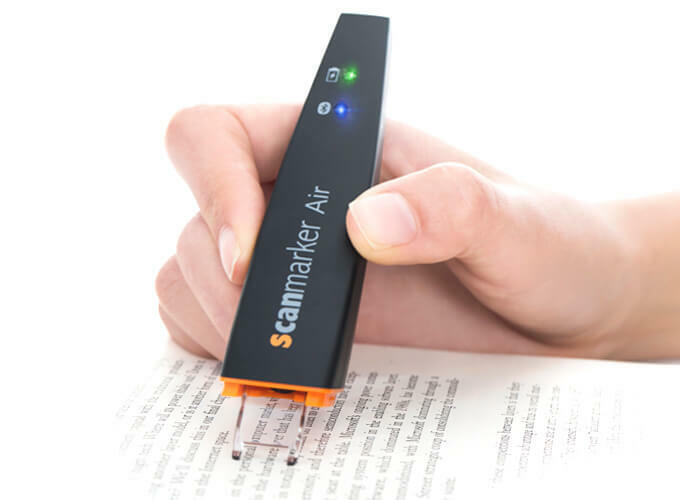 The Scanmarker Air is the ultimate pen shaped scanner that allows you to scan notes instantly to your computer, smartphone or tablet. It can even translate scanned text into up to 40 languages. The integrated text-to-speech function can read the text back to you whilst scanning!